In the latest call for proposals for Starting Independent Researcher Grants issued by the European Research Council (ERC), submissions from LMU researchers have won six of the generously endowed awards, more than any other university in Germany. Six up-and-coming LMU researchers have each been awarded one of the coveted Starting Grants administered by the European Research Council (ERC). With these latest successes LMU retains its place as the German university that has acquired more of these prestigious grants than any other. In all, 70 Starting Grants have gone to German universities since the inception of the scheme. Starting Independent Researcher Grants aim to support up-and-coming researchers from all over the world who are about to establish or consolidate a proper research team and to start conducting independent research in Europe. 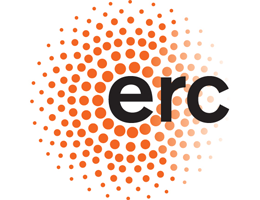 The sole evaluation criterion used by the ERC is the scientific excellence of the researcher and the research proposal. The LMU awardees in this latest round are: Dr. Martin Saxer (Faculty of Cultural Studies), Dr. Christoph Scheiermann (Faculty of Medicine), Dr. Alexander Fraser (Faculty of Languages and Literatures), Dr. Franz Herzog (Gene Center, Faculty of Chemistry and Pharmacy) and Prof. Bernadett Weinzierl (Institute of Meteorology, Faculty of Physics). Philosopher Dr. Barbara Osimani, who has also been awarded an ERC Starting Grant, is moving to LMU, and will carry out her ERC project at the Munich Center for Mathematical Philosophy (Faculty of Philosophy, Philosophy of Science and Religious Studies). Physicist Professor Bernadett Weinzierl is at LMU’s Institute for Meteorology, and her research focuses on the physics of aerosols in Earth’s atmosphere. Aerosols are tiny particles such as mineral dust or black carbon suspended in the air. These particles can be transported over distances of thousands of kilometers and, because they can absorb and scatter solar radiation and affect cloud formation, they have a significant impact on atmospheric chemistry, air quality, climate and local weather. “It is not yet clear how aerosol particles are altered during their long journeys through the atmosphere. In particular, we would like to learn more about how absorption of radiation by aerosols such as mineral dust and black carbon affects local weather patterns and global climate and whether the absorption in mixed dust-black carbon layers is dominated by the natural or by the anthropogenic aerosol component,” Weinzierl explains. In her ERC project A-LIFE she plans to investigate the behavior of absorbing aerosol layers and the relationship between their interactions with radiation and their lifetimes in the atmosphere. “A-LIFE will contribute to a better understanding of the roles of absorbing aerosol layers in the atmosphere and in the climate system, and will provide important information for addressing the benefits of black carbon emission controls for mitigating climate change,” says Weinzierl. Bernadett Weinzierl studied atmospheric physics at LMU, specializing in Meteorology, and obtained her doctorate at the Faculty of Physics. She subsequently held research posts at the German Aerospace Center (DLR) and at the National Oceanic and Atmospheric Administration’s Earth System Research Laboratory in Boulder, Colorado (USA) as well as working for Droplet Measurement Technologies Inc. in the same city. In 2010 she was chosen to head the joint LMU-DLR-Helmholtz Young Investigator’s Group AerCARE and became a Junior Professor in the Faculty of Physics at LMU in 2011. Molecular biologist Dr. Franz Herzog has made a significant contribution to the development of a novel technology in the field of structural and systems biology. In order to analyze the architecture of large protein complexes which are difficult to study by standard methods, he uses a combination of chemical cross-linking and mass spectroscopy to determine nearest-neighbor relationships. In his ERC project he plans to apply this approach to the analysis of the structure of the kinetochore. The kinetochore is a macromolecular protein structure that is comprised of more than 100 different proteins and is assembled at a specific site on each of the chromosomes. The kinetochore plays a vital role in organizing the transmission of chromosomes to the daughter cells formed by cell division. “By studying the dynamic architecture of the kinetochore, we hope to clarify the structural role of this protein complex in ensuring correct segregation of the chromosomes to the daughter cells during cell division. The project should also reveal how a whole series of regulatory mechanisms, which is required for the precise control of this process, is flexibly integrated into its three-dimensional structure,” Franz Herzog explains. Errors in this process can result in aberrant chromosome numbers in the daughter cells that can lead to cellular transformations and tumorigenesis. Dr. Franz Herzog studied Food Sciences and Biotechnology at the University of Natural Resources and Applied Life Sciences in Vienna, and obtained his doctorate in Prof. Jan-Michael Peters’ laboratory at the Institute of Molecular Pathology in the Austrian capital. Having obtained a Marie Curie Fellowship, he then moved to the group of Prof. Ruedi Aebersold at the ETH in Zürich where he worked until 2011. In 2012 he became a Group Leader at LMU‘s Gene Center in the Faculty of Chemistry and Pharmacy. The American computational linguist Dr. Alexander Fraser is a specialist in the field of automatic translation. Fraser’s background in computer science led him into the field of machine translation, and his ERC project is concerned with the design of computer programs that can learn to translate texts from one human language to another with the aid of statistical rules derived from the usage of natural language. “Computational linguists first approached the problem by formulating lots of rules which told the computer how to translate from a source text. We use a different strategy, in which the computer itself learns how to do the job,” Fraser explains. Machine translation is currently based on a parallel corpus of texts in the source language and their translations into the target language. Hence the quality of the automatic translation is strongly dependent on the size of the available corpora. “Our new approach will make it possible to produce adequate translations of texts in domains of knowledge in which relatively few parallel texts exist, for example in the medical literature,” says Fraser. Furthermore, the project not only promises to have a far-reaching impact on the field of machine translation, it will also have broad applications in other areas of machine learning. Alexander Fraser heads a research group at LMU‘s Center for Information and Language Processing, a post which he assumed in 2013, having previously worked at the University of Stuttgart. Fraser studied Computer Science at the University of Massachusetts Boston and at the University of Southern California in Los Angeles, where he obtained his PhD for a thesis entitled “Improved Word Alignments for Statistical Machine Translation”. Martin Saxer is an anthropologist working in the highlands of Asia. His research area lies between the Pamirs and the Eastern Himalayas. Saxer’s ERC project, entitled “Remoteness & Connectivity – Highland Asia in the World”, is designed to develop a better conceptual understanding of these seemingly isolated regions and their roles in the global sphere. Saxer and his team will investigate how the region’s longstanding connectivity and its relative inaccessibility condition and shape each other in particular ways. “Highland Asia is currently undergoing a phase of rapid transformation. Since the end of the Cold War, age-old trade routes have been re-opened, and this has led to a huge increase in international exchange and investment,” Saxer says. His project will attempt to capture this ongoing transformation “in real time”. Martin Saxer studied Social and Cultural Anthropology at the University of Zurich. He received a Clarendon Fellowship to pursue a doctorate at the University of Oxford, where he obtained his PhD with a thesis on the industrialization of Tibetan medicine. He spent two years at the Asia Research Institute in Singapore as a postdoctoral fellow before joining LMU as a Marie Curie Fellow in 2013. Biochemist Dr. Christoph Scheiermann’s ERC project is addressing the role of circulating white blood cells (leukocytes) in immune responses. Specifically, he intends to explore how the trafficking of leukocytes from the bloodstream into tissues is regulated, and how the infiltrating cells determine the course of the immune response at sites of infection or injury. In his previous work he has shown that the migration of leukocytes is influenced by biological rhythms such as the daily sleep-wake cycle. “Circadian rhythms with a period of approximately 24 hours have an impact on the recruitment of leukocytes from the circulation into tissues. Such circadian oscillations can, for example, exacerbate inflammation reactions at certain times of the day,” says Scheiermann. A better understanding of the link between immunological processes and the biological clock should make it possible to enhance the efficacy of drugs and other therapeutic interventions by optimizing the timing of their administration. Christoph Scheiermann currently heads an Emmy-Noether Junior Research Group at the Walter Brendel Center for Experimental Medicine at LMU. He studied Biochemistry at the Free University of Berlin, and did his doctoral research at Imperial College London. He then moved to New York City to do a stint as a post-doc at Mount Sinai School of Medicine and Albert Einstein College of Medicine before taking up his present post at LMU.